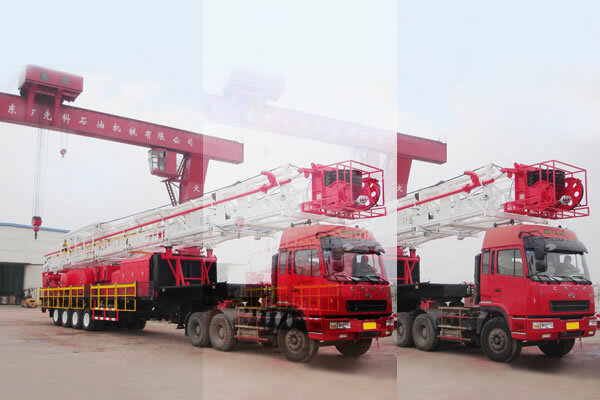 The trailer mounted drilling rig puts all parts on the semi-trailer chassis, such as power system, draw-works, mast, traveling system and transmission system. The tractor draws the trailer to oil field during transportation, which is of great advantage to improve the drilling operation transportation efficiency and it saves the transportation resources. 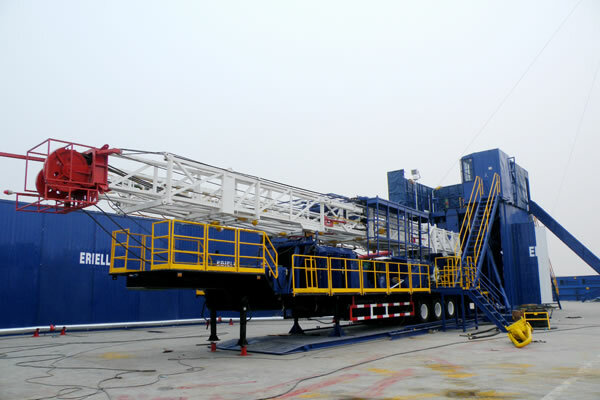 The diesel driven semi-trailer drilling rig is designed and manufactured by our company, which has the drilling depths of 1500m, 2000m, 3000m, 4000m, and the max static loads from 1350KN to 2250KN. 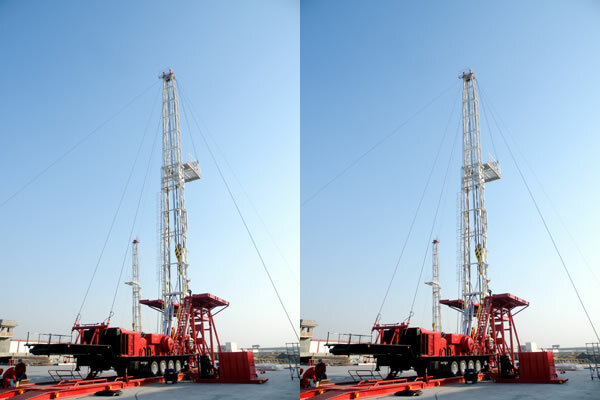 It is suitable to the open oil fields with good road conditions. 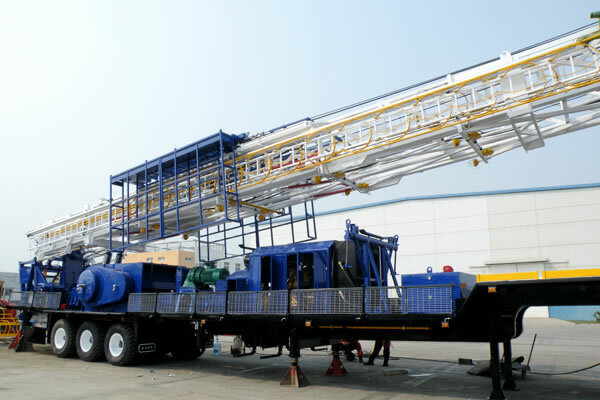 This trailer mounted drilling equipment has the characteristics of heavy workload, reliable performance, strong cross- country ability, convenient for transportation, low cost for operation and moving, which is suitable for middle and shallow well drilling operation.